The mobile giant will invest more in networks and elsewhere. That’s good preparation for economic upturn and a boom in data usage. But Vodafone remains disadvantaged versus fixed-line and cable rivals. The clearest route to a higher share price remains a bid from AT&T. 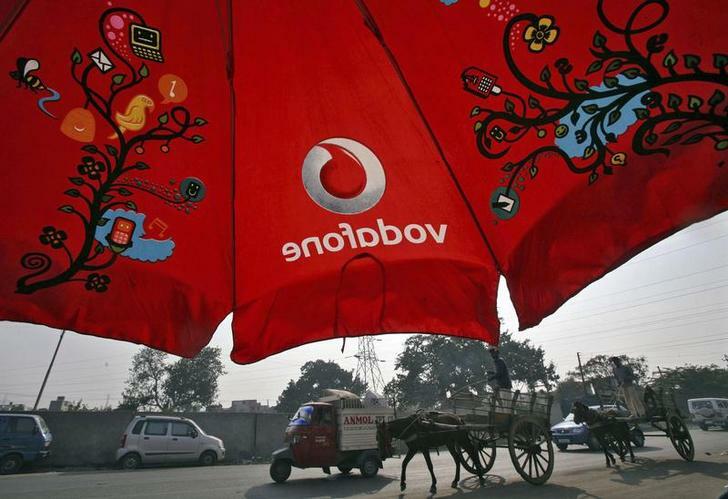 Men ride their horse carts past an umbrella with a Vodafone logo on a road in Jammu November 21, 2011. Vodafone, the world’s second-biggest mobile operator, reported a record fall in its preferred measure of sales, and announced a larger-than-expected 7 billion pound ($11.2 billion) investment programme. In a statement on Nov. 12, Vodafone said organic service revenue, which excludes items such as handset sales, fell 4.9 percent in the quarter ending Sept. 30. EBITDA fell 4.1 percent in the six months to end-September, to 6.6 billion pounds. The measure excludes restructuring charges and a Spanish asset write-off worth a combined 228 million pounds. Vodafone said it would spend 1 billion pounds more than it previously planned on “Project Spring”, a programme to improve network quality, customer service and the products offered to business customers. The London-listed company is mid-way through selling its 45 percent stake in Verizon Wireless, the U.S. mobile company, to partner Verizon Communications for $130 billion. It plans to return $84 billion to shareholders in cash and stock.